During the month of April, Filmatique will screen films from a constellation of Post-Soviet nations— Kyrgyzstan, Tajikistan, Azerbaijan, Kazakhstan and the Republic of Georgia. These countries have all declared independence in the wake of the disintegration of the former USSR. However, remnants of a fallen empire, to which they all once belonged, pervade the region's collective consciousness to this day. Filmatique's Post-Soviet Cinema Series posits a fundamental question: how to interpret borders that reveal themselves as arbitrary— imaginary and constantly shifting lines between one country and the next, between the colonial past and a way forward, between the preservation of traditional ways of life and a diaspora of young people who seek out the promise of urban life. This dualism is present in the Series' first film— Heavenly Nomadic— which captures the rhythms of Kyrgyzstan's paradisiacal mountain gorges. True Noon and Nabat depict rural life on the brink of disappearance, while Adventure and Keep Smiling portray urban desperation in Almaty and Tbilisi. Often, the protagonists are women forced to survive by whatever means they can. Filmatique's Post-Soviet Cinema Series showcases exciting new voices from an oft-forgotten part of the world, exploring the lingering effects of war as well as notions of history, identity, community, poverty, and hope. Three generations of horse-breeders live high in the remote mountains of Central Asia, while so-called civilization continues to encroach on their lost paradise in the form of bulldozers and a meteorological observatory. Kyrgyz filmmaker Mirlan Abdykalykov's stunning feature film debut tackles the clash between old traditions and the speed of industrial change, ecology and the destruction of nature, and the transcendent value of family and human relationships. Heavenly Nomadic premiered at Karlovy Vary, Cairo, Palm Springs, Mumbai, Istanbul and Beijing, and was Kyrgyzstan's official submission for the 88th Academy Awards. True Noon examines the consequences of the dissolution of the Soviet state, and the arbitrary nature of a government's relationship with its citizens, through the life of a young woman living in a village near the border between Tajikistan and Uzbekistan. Nilufar is training to become a meteorologist, and preparing for her wedding, when troops arrive to install a fence and land-mines between two neighboring villages. Nosir Saidov's feature debut is politically dense and lined with absurdist humor, deconstructing modern notions of borders, nationalism, time, history, and community. The first film to be produced by the Tajik film industry in 18 years, True Noon premiered at Rotterdam, Marrakech and Santa Barbara, and won the Audience Award at both Busan and Kerala. Nabat treks along rugged mountain roads each day to sell milk, all while the war that claimed her son's life advances closer to her village. 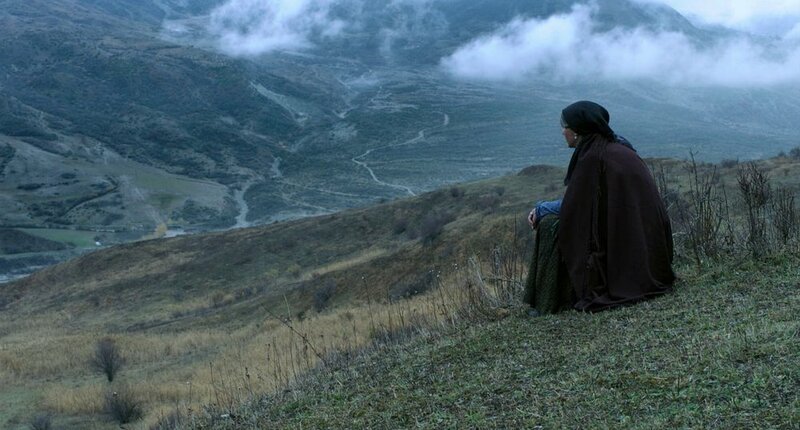 Azerbaijani filmmaker Elchin Musaoglu addresses the consequences of the armed conflict in Azerbaijan, which began in 1988 until the cease-fire in 1994 and remains diplomatically unresolved. By keeping the conflict in the background, and studying only its consequences, Musaoglu offers a rare window into the human dramas that unfold in the most isolated reaches of Azerbaijani, particularly the lives of its women. Nabat premiered at Venice, Chicago, Dhaka, Tokyo and Mannheim-Heidelberg, where it won both the FIPRESCI Prize and the Prize of the Ecumenical Jury. Elchin Musaoglu's second feature film was selected as the Azerbaijani entry for the Best Foreign Language Film at the 87th Academy Awards. Marat is a young man living and working alone as a security guard in Almaty. His life is lonely, dull, mundane— until a young woman appears opposite his security post, four nights in a row. Kazakh filmmaker Nariman Turebayev's third feature film translates the premise of Fydor Dostoyevsky's White Nights to the post-Soviet capital of Almaty, in a subtle study of modern loneliness and the geography— both physical and spiritual— of the USSR's legacy in Kazakhstan today. Adventure premiered at Karlovy Vary, Turin, and the Eurasia International Film Festival Almaty, where it won the FIPRESCI Prize. In the televised Georgian Mothers' Contest, a group of ten very different women compete for an ultimate prize of $25,000 and a family apartment. Georgian filmmaker Rusudan Chkonia's first feature explores pressing issues of contemporary Georgian society— the enduring scars of civil war, ethnic conflict and near economic collapse— through the lens of broadcast television, calling into question the ethics of entertainment itself. Keep Smiling premiered at Venice, Abu Dhabi, and Tallinn Black Nights, and was selected as the Georgian entry for the Best Foreign Language Oscar at the 85th Academy Awards.